King Edgar established Hertfordshire with Hertford as its County town. The town is now a blend of old and new and set in delightful countryside. 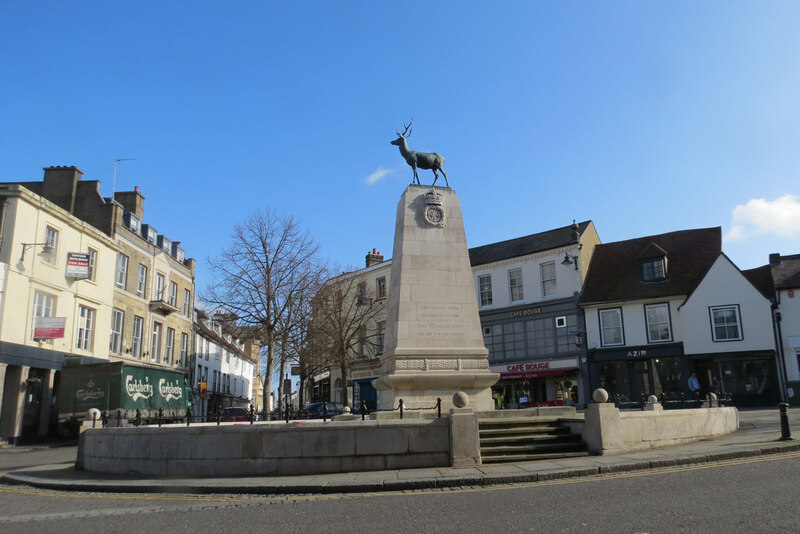 The War Memorial, dating from November 1921, has a bronze stag standing on a Portland stone plinth. Some of Henry II’s walls of 1173 have survived, James I demolished the rest. 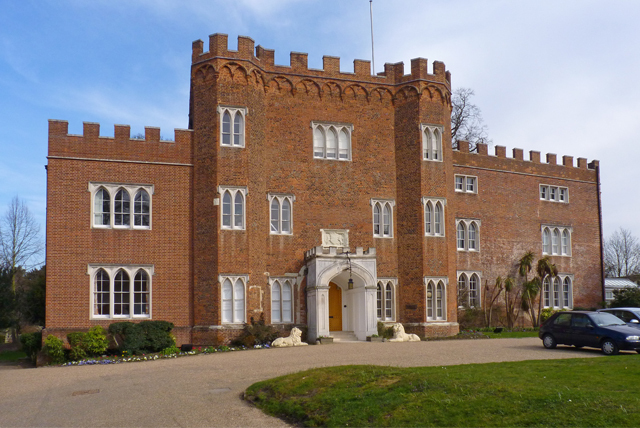 Today, of the Castle buildings, only the red-brick, Georgian gate house remains. It is a stately building to house the Town Council offices with its stone porch, turreted walls and battlemented parapet. 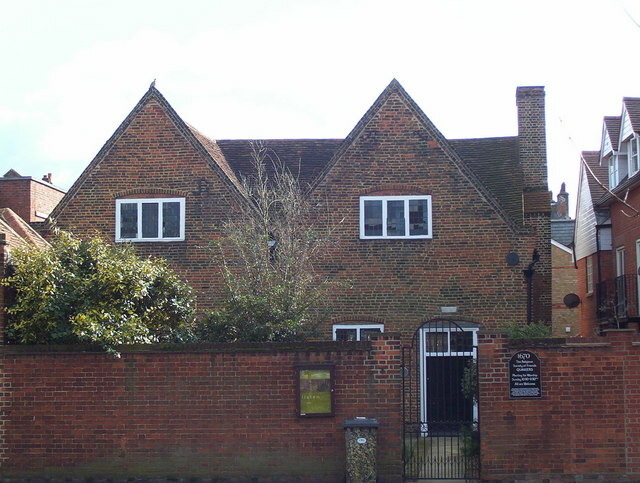 The oldest purpose-built building of its kind still in use is the Religious Society of Friends (Quaker) Meeting House. Both William Penn (Pennsylvania) and George Fox (founder of Quakerism) preached in the Grade II Listed building dating from 1670. The old street is a picture box of architectural styles through the ages. The Grade II Listed Dimsdale Arms, now a pizza restaurant, dates from c1600, when it was a coaching inn. 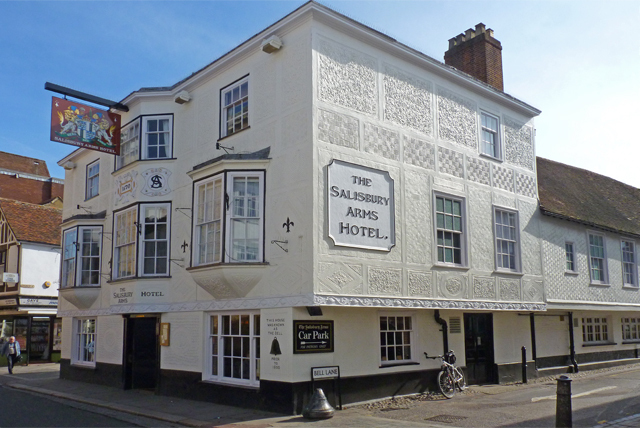 The Grade II Listed, Salisbury Arms, dating from 1431, and previously The Bell, has an array of moulded plasterwork. Partly timber-framed, it has stuccoed yellow-grey gault brick. The name changed when the Marquis of Salisbury purchased the building in 1830. Also on Fore street is Christ’s Hospital, Blue Coat School. Edward VI founded the school in 1553 and it was one of the oldest boarding schools. The school sold the building in Fore Street in 1985. 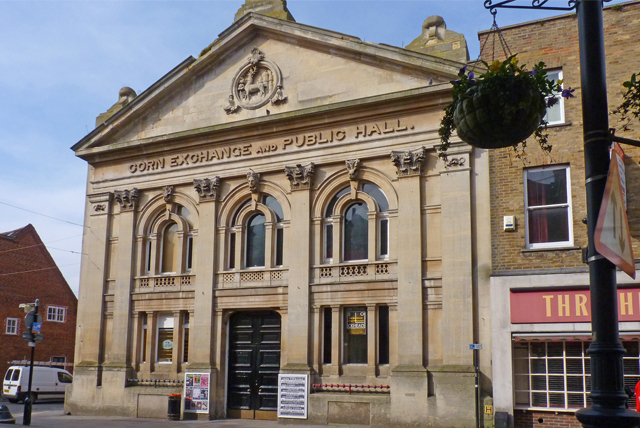 The Corn exchange, dating from 1857 occupies the site of the old Butcher’s Market. The Old Verger’s House is Hertford’s oldest domestic building and dates from c1450. The timber-framed building has an oak-panelled Jacobean doorway. Inside there is a ‘snuffer’ mounted on the wall. In the C17th and C18th, linkmen carried flame torches to guide people around unlit town centres at night. They used ‘suffers’ to snuff their torches. All museums should have an unusual collection of something. And in Hartford’s case that something is toothbrushes! There are c5,000 toothbrushes, the largest collection in the UK, forming part of the Addis Collection. The Museum, in Bull Plain, is open Tuesday – Saturday.